First things first: Yep, I’m still pregnant. Baby Girl is sittin’ pretty and determined to take her sweet time arriving. I’m giving her until Friday, and then she’s getting a serious talking to. 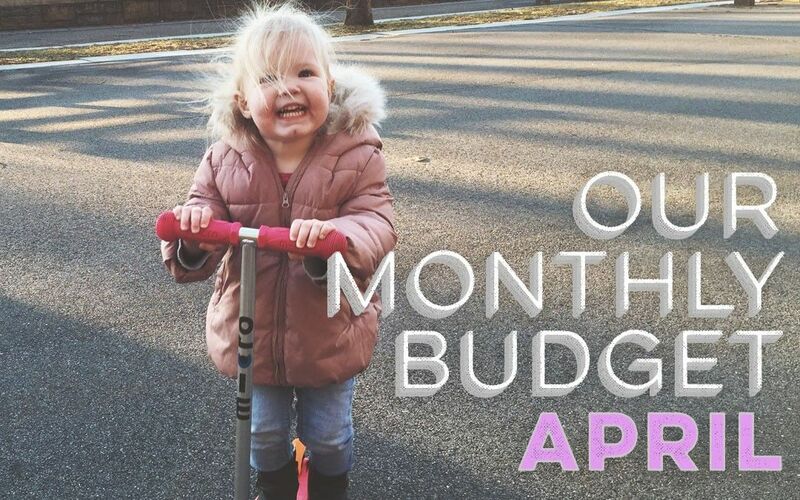 March was a good budgeting month for us. We saved extra money, which is always a welcome relief. We did better with grocery spending, partially because our meals have been super no frills (read: lame) these past few weeks. Cooking this baby in my belly is about all the domesticity I’m up for these days. And we didn’t have any unexpected expenses arise! So, yes, a very good month, which we needed since we have a very large expense coming up this month! Our electricity bill was great the first month we were here. But now?? It’s averaging about $150/month. And we haven’t even started using our A/C units yet. We’re trying to be careful to conserve energy where we can, but the bill won’t budge. Once summer hits, I think we’ll be staring at a $300+ monthly electricity bill. Ouch! For 900-square-feet of space, it’s kind of ridiculous. In March, we spent $400 of our vacation budget on a weekend trip to DC, which is why our current Vacation total is only at $400 (rather than the $800 it could be). The majority of our cost was spent on a rental car and gas, which is a lot more manageable than a bus or train with Sally. It will likely be months before we feel up for any other vacationy adventures, so it was well worth every penny. I didn’t add the cost of giving birth to our budget since we’re not sure exactly how much the hospital bill is going to cost us. But we will likely be paying at least $3,000 out of pocket this month. We’ll share all the pricey details as soon as we have them. You can call your electric company and have them come out and do an energy audit. Usually it’s free and they can possibly find if something isn’t right. I’m SURE that is the last thing on your mind at this very moment, but something to consider once baby girl makes her entrance into the world! That’s a great idea! Thanks for the tip! I know all about NYC rent and its in a class by itself. You have to want to live in New York to pay those prices. You still did great this month for you managed to save some money. Good luck with the baby…hope she makes it by the deadline! 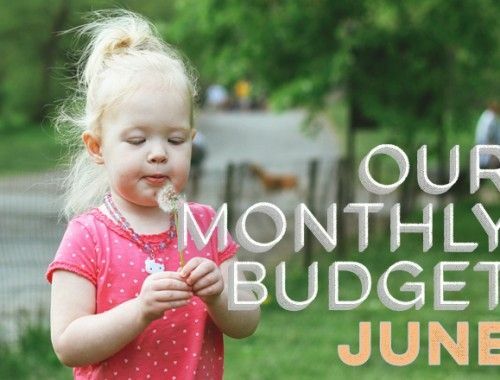 Our budget is looking pretty good this month. We finally got rid of some unused gym memberships and started a capsule kitchen to help with overall food costs. We did get hit with a big plumbing bill (yay home ownership), but I won’t complain about having toilets that flush… Can’t wait to ‘meet’ baby #2! Hi, I recently found your blog and have been enjoying catching up. I recently downloaded HomeBudget with Sync for my wife and I based on your recommendation. I was wondering how you decided which categories to use the “rollover” setting for. I understand using it for clothes or Christmas, but any reason why you wouldn’t use it for groceries, utilities, or “everything else”? How does it work if you are over or under budget? Sorry for the delay in answering your question! We just did the rollover category for big ticket items that we purchase during the year but that aren’t the same amount from month to month. For our other categories, we tend to want to stick to the same amount each month. And if we go over on those categories, we just try to do better next month. If we go under, we give ourselves a pat on the back. You could do rollover for every category, but it might get kind of messy. If, for instance, you go over your grocery budget by $100 one month, it would be really hard to have $100 less to spend on food the next month. But it’s up to you if you want to give it a try! That’s the great thing about budgets… you can do what you want to make it work best for you! Hope that helps. Good luck! One thought I had about having a baby- this may or may not be an option, but when we had our last baby 2 years ago they took 25% off the bill if we paid in cash before we left the hospital. I know not all hospitals will do that and sometimes you have to ask, but it’s well worth checking into. It saved us $800! So I try to tell anyone I know who is having a baby about it. Good luck with your little one! I’ll be excited to hear when you have her! Wow! That’s awesome. We had a weird situation since we knew we’d hit our out-of-pocket max. So at the end of the day, we’d have the same bill no matter what, if that makes sense. 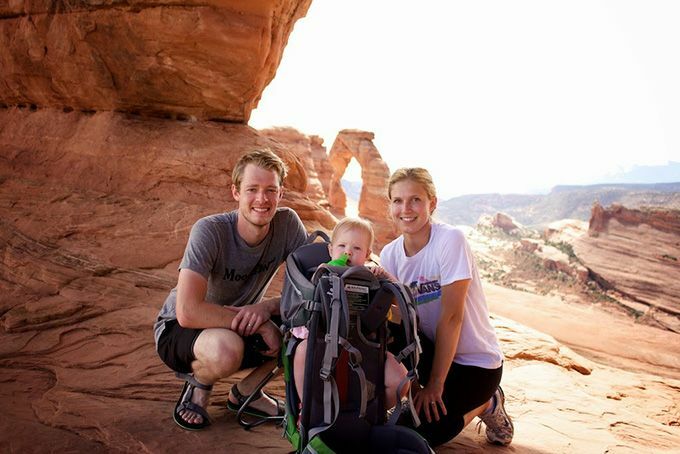 If and when we have another baby (or hospital stay), we’ll have to keep that in mind! Thanks for the tip! I agree with Courtney above, though I also heard it doesn’t have to be when you leave but when whenever your bill comes due to ask for a discount for paying in full. Worth a shot. Also—I’m impressed with your grocery budget and I know you said it was no frills but have you done a grocery post? Meals you typically eat, etc? It would be really helpful because I think that area of our budget is where I can’t seem to get control but also where I can probably make the most headway since it’s not a totally fixed category. Especially if you can do it In NYC! Hope that helps, and feel free to ask me any other specific questions you may have! Grocery spending is a beast for everyone, it seems. Good luck! I am with Katie – how in the world do you feed 3 people (granted, one is small) on only $325 worth of groceries each month!?!!?!?!?!!? We live in a small town with only one grocery store where I do the majority of my shopping. It accepts basic coupons, but no doubling or anything like that. The closest CVS/Walgreens/Target/Walmart, etc are 45mins-1hr away, so it feels like the money we might save shopping and using coupons there is outweighed by the gas expense and eating out while we’re there, etc. I would LOVE to see a grocery/food post because I struggle getting our grocery bill under $600/mo and it’s just my husband, me & 2 toddlers (who drink their weight in milk but that’s about it). I’m sure you won’t have time to get to this before your #2 arrives, but if you already have a food/grocery post, please link it! Grocery spending seems to be tricky for everyone, us included! If you have any more specific questions, feel free to ask, and I’ll respond directly or do a more specific post. Thanks! Uh, I’d say yes (and have been doing so since we first got married – many, many – many moons ago). See what you have ahead of you? Deja vu guys! 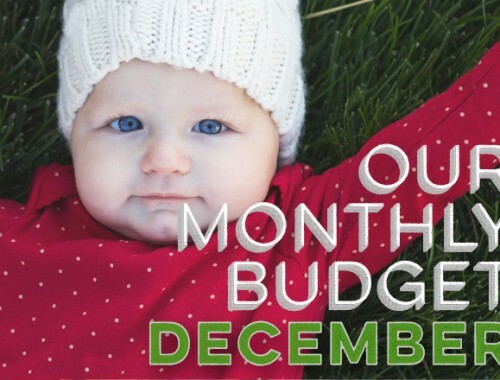 Thank you for sharing your monthly budget! It’s nice to see what “real” people are doing I also spent a lot out of pocket for childbirth, my insurance covered 80%, but with a c-section and hospital stay, it cost us a couple of thousand. However, I see that you pay for Aflac, what coverage do you have? I’ve recently read that certain policies pay very well for childbirth fees, I think it is the hospital policy? I live in Brooklyn NY in a three bedroom one family duplex home with a senior who is home daily and our Con Ed electric bill averages about $66 per month. May I also suggest that sometime after the new addition arrives and you get settled into a routine that you contact the electric company and request an audit, your bill seems quite high to me. Thanks, Michelle! We will definitely look into getting one soon. Thanks for the tip! Definitely request an audit from the electric company once you’re settle in with the new baby. But, with that said, we also average around that amount (maybe a little less) in Los Angeles. However, our higher electric bill is due to computer usage. Mr. LH works from home and with all the electronics going most of the day, our bill pushes close to $125 on a good month. Once you add A/C or heat (which in our case is electric) it easily goes up to $150. So far, our April budget should be on track. No unforeseen expenses, unlike March where we had to travel unexpectedly. Hopefully we won’t have to do that for a while. I just wanna know what y’all are eating if you only spend $375 on groceries for a month? Is that typical!? I usually budget $600 for the three of us, but that includes things like diapers, cleaning supplies, and other home supplies. We finished our refinance last month so no mortgage payment this month and going forward our payment is $150 less. Yay! So glad we only decided to put down 16% last year instead of 20% because our house appraised for $10,000 more than it did last year when we bought and if was enough for us to get rid of PMI and our interest rate is lower. Budget fail is our grocery budget. I’ve tried to keep it at $325 for food, toiletries, cleaning supplies after adding our second child but it’s just not working as she eats 3 meals and a snack at almost 1. Also, has anyone else in the Midwest noticed huge jumps of 50 cents-$2 in prices on many staple items?? I think some of that housing savings will be allocated to the grocery budget I agree with the others on getting an electricity audit! Great news on your mortgage and getting rid of PMI! What a great way to find some extra savings. Time will tell if our grocery budget will be going up with baby #2 as well in the next year. Sounds like it was great timing on getting some extra savings on housing! Good luck on your grocery budget… it’s our hardest category each month, too! Thanks for sharing your budget! That electricity bill is high! Im in MA and have a similar sized apt and my bill is about $35/month all winter (gas heat/forced hot air) and I work from home. Strangely though my Mom lives 15 mins away in an apt even smaller and her bill is $100+/month…. Ive been trying to figure out if its her computer (old school tower/monitor setup) or the older appliances or something…an electric mystery! Maybe ask some neighbors about their bill? I too am so interested in your meal planning and grocery budget! I really want to meal plan better for myself and I cant wait to read a post about how you do it! Best of luck with Baby #2 any day now!! i likewise am impressed with your grocery budget, especially in NYC! We eat simply… I’m no Martha Stewart, so most of our dinners are one-dish recipes that take me less than 30 minutes. I think that helps with the cost a lot, although poor Johnny and Sally don’t eat very exciting stuff most of the time! Your grocery and eating out budgets made us look at ours and think if we need them as high as they are (we budget almost $1000 for those 2 categories). In the end we decided to leave them, because the stress of trying to get them lower isn’t worth the amount we would save over the whole year. Because of all the food safety issues here (Shanghai, China) most of the meat I buy is imported (and expensive – $8+ for a lb of ground beef) and I buy fruits and vegetables from an online grocer who sources from a farmer who is committed to providing safer veggies. I have got a good grasp on where I can buy things for the cheapest price, and I do that, it is more just a problem of things being really expensive here… at least the things we want to eat. I laughed when I read your post about the $8 tubs of ice cream in New York because it is the same here. Ben and Jerry’s pints = $10-15. A bag of Doritos = $4-5. I also have to account for when we stock up on various items on our infrequent trips back to the U.S. – a year’s supply of various toiletry items, and as much food as we can fit in our luggage and stay within the weight allowance. So basically, I’m super impressed with your grocery and eating out budgets. 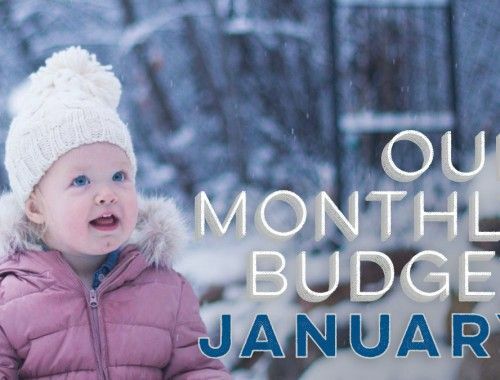 I hope we can get our grocery budget back to numbers like yours whenever we return to the U.S.
Also, I was curious if you plan your overall budget at the beginning of the year or if you just do it month by month? Or a combination of both? It sounds like you’re doing what you’ve gotta do right now with your grocery spending… having safe food is well worth the extra money each month! Still no fun to have to spend that much, but totally necessary. And oh man, I was complaining about Ben and Jerry’s costing $6/pint in NYC. I think in other areas of the US, it’s only $3! If you move to a suburb when you return to the US, everything’s going to feel dirt cheap! We do an overall budget at the beginning of the year, as well as a monthly budget. That way we’re able to guesstimate what our savings should be for the entire year and keep a big-picture perspective. Those rollover categories we have are part of a yearly budget for those items, if that makes sense.